Book Giveaway: Post a comment below for your chance to win a copy of Fresh Fabric Treats, reviewed in this episode!! Enter by midnight June 17th! Book Reviews + a Giveaway!!!! Giveaway: Leave a comment below by Friday, June 17th for your chance at a copy of Fresh Fabric Treats!!! Looks like a wonderful book! 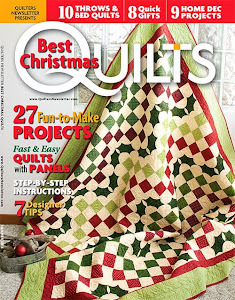 :) Just the cover alone is awesome - pie & quilts!!! I'm new to the whole bake shop thing so this book will be a great way to get inspired to dive in. 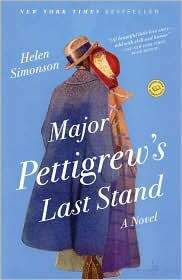 And I am definitely adding "the Major" to my reading list. Thanks for another great podcast! Love this book and would love to win it even more. Thank you so much for the chance of winning it. I really enjoy your podcast. Especially your book recommendations. Thanks so much for taking the time to put the podcast and blog together. Your podcast is one of my very favorite! I can't believe how professional you speak. It's packed full of such interesting info. And your book-reviews,Love... I have picked up four of the books you recommend. I can't tell you how much I have been enjoying your interesting and informative podcast. You have such a warm, engaging and charming personality. Listening is like sitting with a friend. thanks for all the hard work it must take to organise such a top-class podcast. Of course I would love to be entered into drawing for the book. thanks again. Book cover makes me hungry! Thanks for hosting such a great giveaway. Hi Tanesha, I really enjoy your podcast. 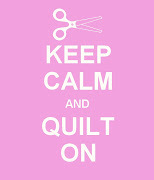 You talk about so many things close to my heart; quilting, books and a 4 year old daughter! Keep up the great work. Oh, this looks like a FABULOUS book! I love the podcast and would love to win the book. Thanks for the giveaway! 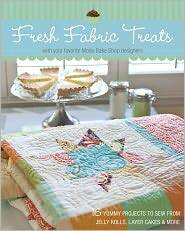 Tanesha, I would love the chance to win the Fresh Fabric Treats book. I love listening to your podcasts and look forward to seeing the Tooth Fairy pillow. I have made several of these over the years and always love to see how someone else has made theirs. I am with you on being disappointed about Mad Men not being on this summer. It is such a great show. They got us hooked and then keep us waiting for more. Now we don't know when or even if there will be more. Just recently started listening to you podcast and am loving it! I love the book reviews- both crafty and literature. Please keep them coming! Love your podcast. I enjoy all of the quilty podcasts and find that I like your reviews of books as much as like finding out what quilty things you are up to.